Sports Business Radio Host Brian Berger and Executive Producer Bryan Griggs preview all aspects of Super Bowl LIII between the New England Patriots and the Los Angeles Rams at Mercedes-Benz Stadium in Atlanta. 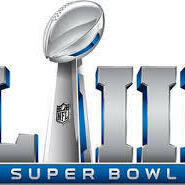 From sports gambling (overall money wagered on the game, prop bets and how the new sports gambling laws in the U.S. will impact this year's betting) to Super Bowl commercials (cost for a thirty-second ad, lineup of advertisers, celebrities appearing in ads) to the music lineup at the top Super Bowl parties and the Pepsi Halftime Show to the TV ratings for the most watched program of the year. We'll even tell you what the most popular food items are and how much of each item is consumed on Super Bowl Sunday. You'll be the smartest person at your Super Bowl party if you spend an hour with us.